Blocked Drain, Blocked Toilet, Emergency Callout Leeds | Powerclean Ltd.
Powerclean environmental services provides a fast and cost-effective 24-hour service. If you have a blocked drain, blocked toilet or problems with your sewage and water systems in your home, we are your trusted, local delivery experts. Able to provide emergency drain inspection, maintenance and repair Industry. We provide a quick cost efficient and professional service across Leeds, and West Yorkshire. Powerclean can help service your gutters and drains with carefully planned maintenance, tailored to your specific needs, whatever your budget. We have the ability to react fast in the event of an emergency. Our drainage engineers are fully trained, using state of the art equipment, you can be sure that all our services are carried out to the highest possible standard. 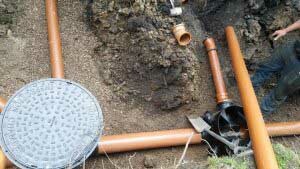 CCTV inspections and routine maintenance can help keep your drain system disaster free. If you have a problem with blocked drains, blocked toilets, blocked sinks, grease traps, interceptors, gutters, require CCTV surveys or to discuss pre-planned maintenance. We offer free competitive quotes and free advice regarding any drainage issue you may be experiencing, simply give us a call today on 0113 8592100. Our knowledgeable and friendly team will be happy to help you!